Deal Physical damage to target enemy and inflict Damage Over Time for 2 turns, plus an additional 2 Damage Over Time effects on a Critical Hit. Wedge Antilles's X-wing gains 25% Turn Meter whenever it attacks out of turn. 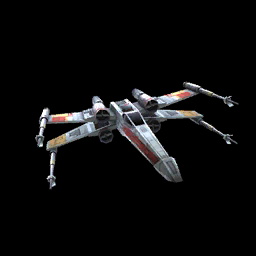 Wedge Antilles's X-wing has +15 Speed and +15% Critical Chance for each enemy that is buffed. Enter Battle: Inflict Buff Immunity and Healing Immunity on target enemy for 3 turns, which can't be Resisted. Deal Physical damage to target enemy. This attack ignores Armor and deals 20% bonus damage for each debuff on the target.